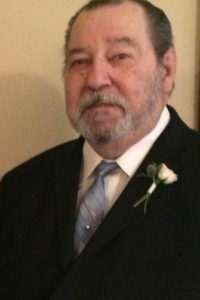 ROBERT D. GREEN, 76, of Twinsburg, originally of Richwood, WV and an U.S. Army Veteran. Beloved husband of Barbara (nee Riha); dear father of Robert “Wes”(Theresa) Green of West Farmington, Jessica , Stacie Bradford of Cambridge, Steven Green of Northfield, Michelle (Castle “Bill”) Roberts, David (Shawnna) Green all of Ohio; grandfather of 18 and great-grandfather of 12. Bob was one of 10 siblings. He was preceded in death by his parents, Jennis and Pauline Greene, children Robin Green and Matthew Green, Brother Charles Green, Sisters, Virginia Smith, Dixie Meadows, Jeanette Hughart and Carol Oyler. He is survived by brothers Jim (Anne) Green, Shirley (Delano) Bailey, Gail (Bruce “Chuck”) Zupancic and Jennis “Bill” (Phyllis) Green. Family will visit with friends at STEINBAUER FUNERAL HOME, 33375 BAINBRIDGE RD., SOLON, OHIO FROM 3-6pm TUESDAY, JANUARY 29, where will be held at 6PM.